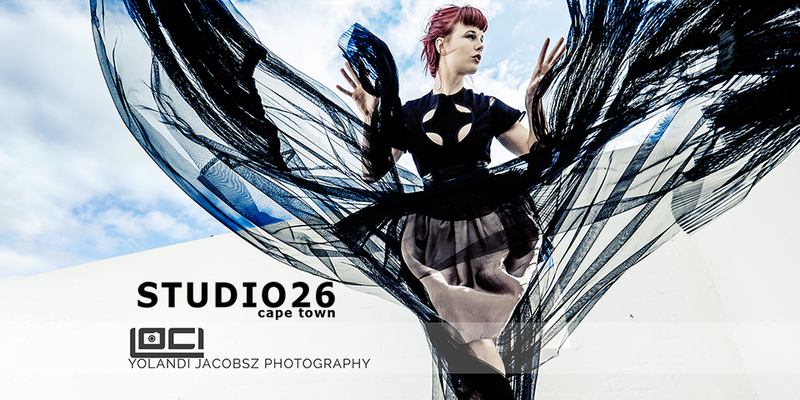 Having had a chance to travel to Cape Town some time ago, I met three models at a workshop, Vicky Lawrence, Melissa Swanepoel, and Bia Hartenstein – and decided to have a shoot with them at the open studio called studio 26. Portfolio shooting in Cape Town – not a chance I get often…. The morning was spent at the workshop, and towards the afternoon, we had our own shoot with them, going to the awesome outdoors studio in Kontermanskloof, Studio 26. Many advertisements, and even some film scenes have been shot there, and it has a completely different feel, adding interesting looks to your images with it’s white walls adding contrast. 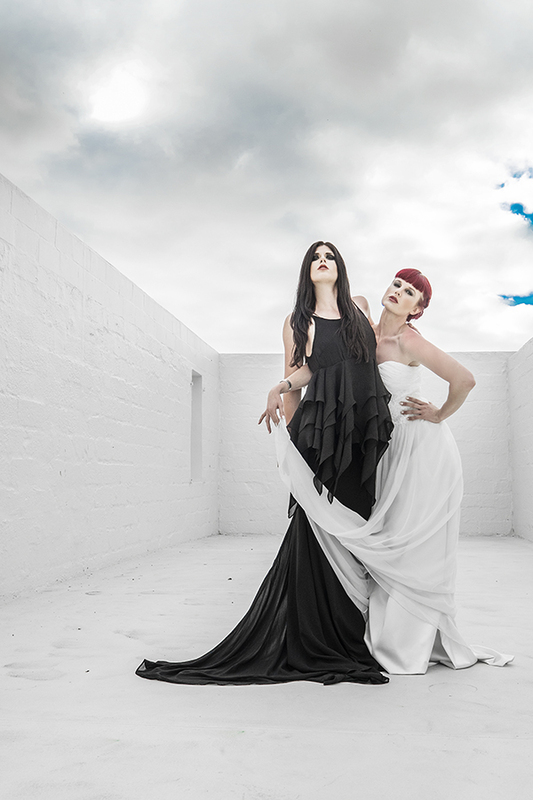 We had been able to get some amazing dresses to play with from South African clothing label Black Coffee, and the day gave me a gift, with some amazing clouds, and the bluest of skies. These ladies just know how to move, and you have to direct them very little. Each of them unique in their style, we still had a great time together, even if fashion isn’t the main thing I shoot. These three made it easy, knew how to move, and the afternoon was such a success. Cape Townian makeup artist Kimberley Leaver did the makeup and styling for the day, and the interesting Cape Townian weather did the rest. Kimberley made portfolio shooting in Cape Town – an event I’ll do often. For most of my shooting I always try and get good angels, or at least different to the normal eye-level. 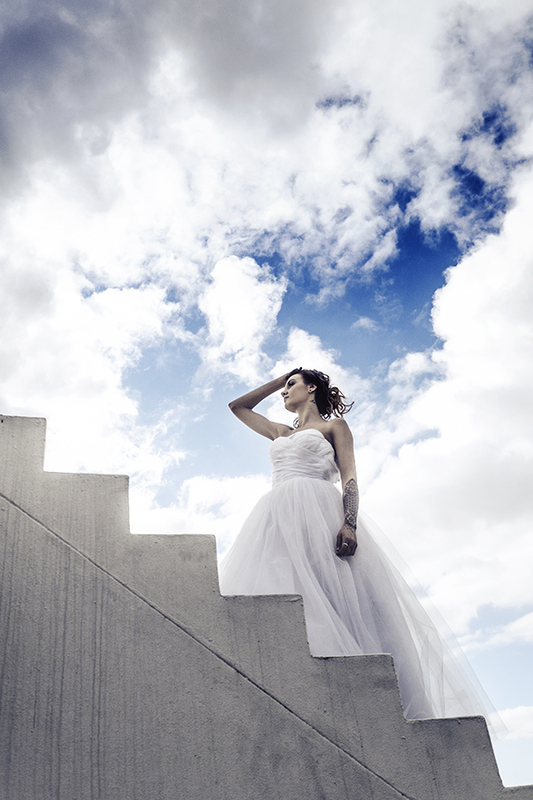 Especially one big, dramatic dress provided some movement, and I had it flung by Bia for an interesting effect. This shoot was such crazy fun, especially the wonderful Bia ended up being friends with me, and it’s great to watch her work and follow her stuff. She is also very creative, and is always busy with a range of different projects. Bia is knows at the Little Harlequin in the industry, because of her incredible way of transforming herself into so many different characters. See different portfolio work from Loci!